The reunion began on Thursday, June 12 with a trip to Washington DC to visit the nation's capitol and various memorial sites. Here are some pictures of that trip. On Friday, June 13 the day began with a trip to Fort McHenry, site of the battle that Francis Scott Key viewed that inspired the writing of the Star Spangled Banner. 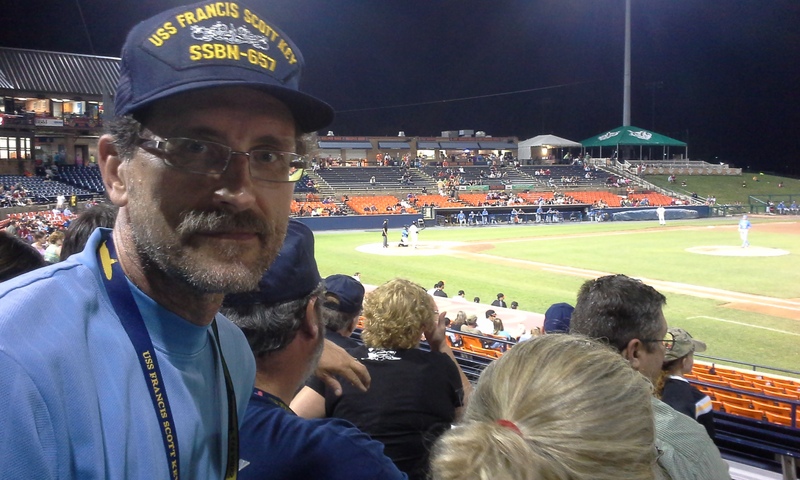 Friday evening was USS Francis Scot Key day at the Frederick Keys minor league baseball game. It was a good, long game that the Key's won in the bottom of the 9th inning. The game got over at 11:25pm, well past an old submariners bedtime. Honoring the Key shipmates at the game on the large video screen. Saturday morning we all went to Mt Olivet cemetery for the dedication of the Key Plaque at the burial site of Francis Scott Key. Unveiling of the Key plaque. 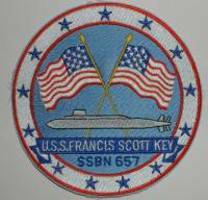 This plaque was in the crew's berthing area onboard the Key and now it is forever a part of the Francis Scott Key memorial. Bud Atkins - Plankowner, Al Singleman - Reunion organizer and Captain Tim France place a banner at the Key site on behalf of the entire crew of the USS FS Key. Key Chapel where we had a tolling of the bells for the Key crew members on eternal patrol. Saturday Evening was the banquet at the Francis Scott Key American Legion hall in Frederick. These are thumbnails of much larger pictures of the guys and gals that attended the reunion. Click on them to enlarge. A great time was had by all. It was an action packed weekend and great to reconnect with our shipmates. The next reunion is in 2016 in New London, CT. See you there!